Written by Russell T Davies, James Moran and John Fay and directed by Euros Lyn. Its a story about a government that did a deal with aliens back in the '60s, and they're now dealing with the consequences of that deal, when the sins of the past come back to haunt them. This storyline is to affect all the Children of Earth. episode one is about the team becoming suddenly fragmented. episode two is more of a spy thriller as they go their separate ways. episode three introduces the alien threat in a big way. episode four is a huge political drama about the wider repercussions. episode five is a race to save humanity. There will be more revelations about Jacks dark past, a major crisis for Gwen and Rhys and an exploration of Iantos family (apparently Iantos sister Rhiannon and her husband and children will be making an appearance in all 5 episodes). PC Andy will appear in all 5 episodes and the guest cast include Mr Frobisher (a civil servant who is hiding a terrible secret), Clem (the survivor still haunted by his past), Johnson (the cynical government agent determined to expose Torchwood) and Lois Habiba (a secretary who hacks into some vital information). 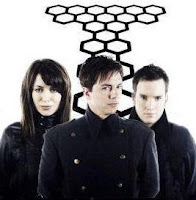 The new enemy are called the 4-5-6, there will be no new Torchwood team members at the start of Children Of Earth. The 4-5-6 are using the worlds children to send out a message - we are coming, we are coming!